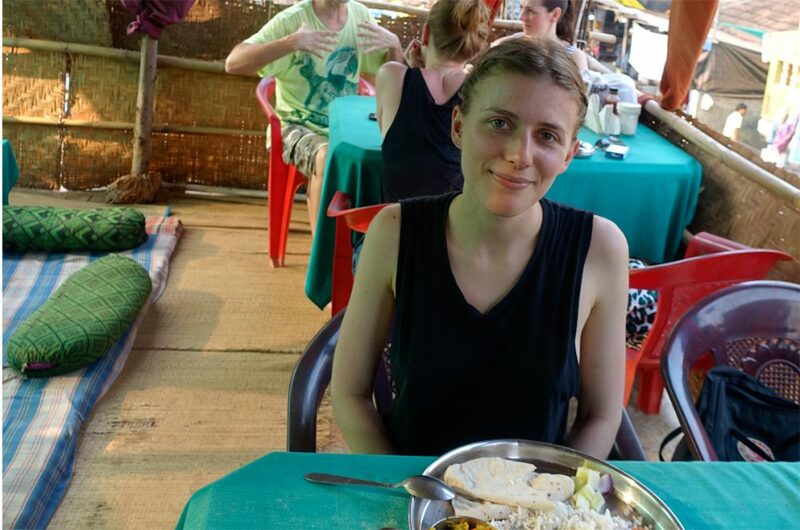 I always enjoy places that offer great food at reasonable prices and while there are, of course, more places, this list consists of my ultimate favorite places to grab vegan in Arambol, Goa. It’s worth noting that, while there are of course heaps of restaurants offering vegan options, there isn’t a huge vegan food scene so to speak. Cool Talk Cafe is a super cozy cafe in a really mellow area. You can choose between sitting on cushions and regular chairs. The cafe offers smoothies, teas, and food, and while not everything is vegan, they have vegan options. Just make sure to ask, as they are not highlighted on the menu. 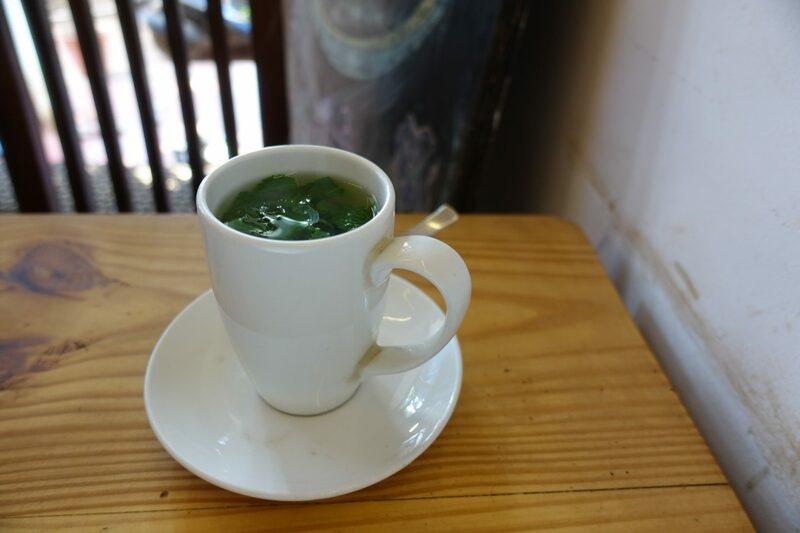 Try the “Dates Banana Coconut Juice” for ₹ 120 and the Mint or Ginger Tea for ₹ 20. 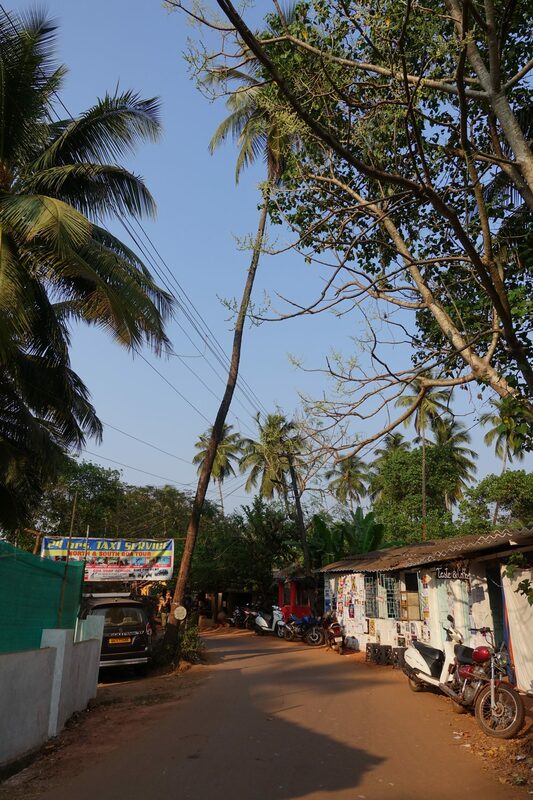 Don’t be fooled – while this place may look a little rough, it was one of my favorite places to grab food while staying in Arambol. 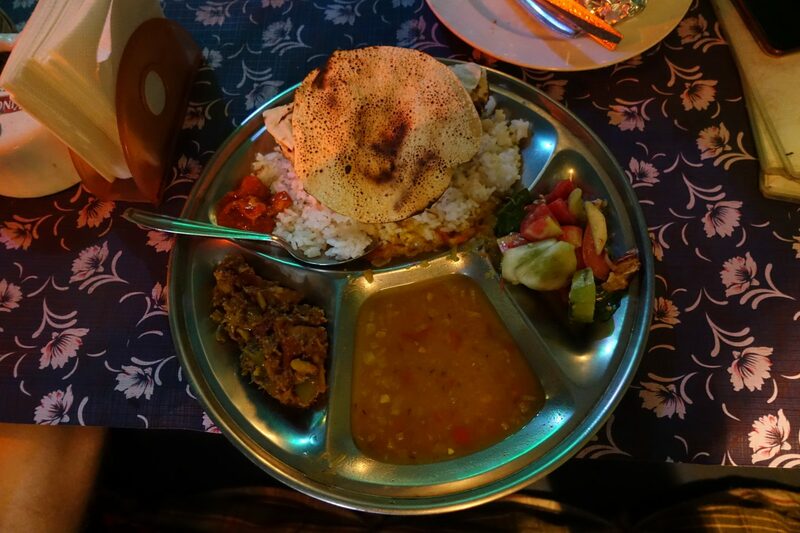 My Shack offers a variety of cuisines and I greatly enjoyed their Vegetable Tahli for ₹ 100 – thali means “plate” and is the Indian name for a round platter with food – I had it several times and absolutely loved it! This place holds a very special place in my heart. 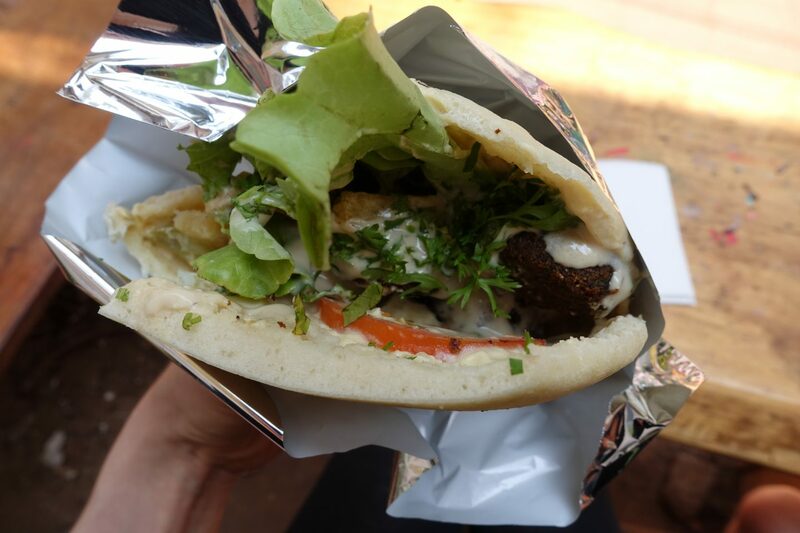 While staying in Istanbul, Turkey, I ate heaps of great falafel and absolutely loved it. 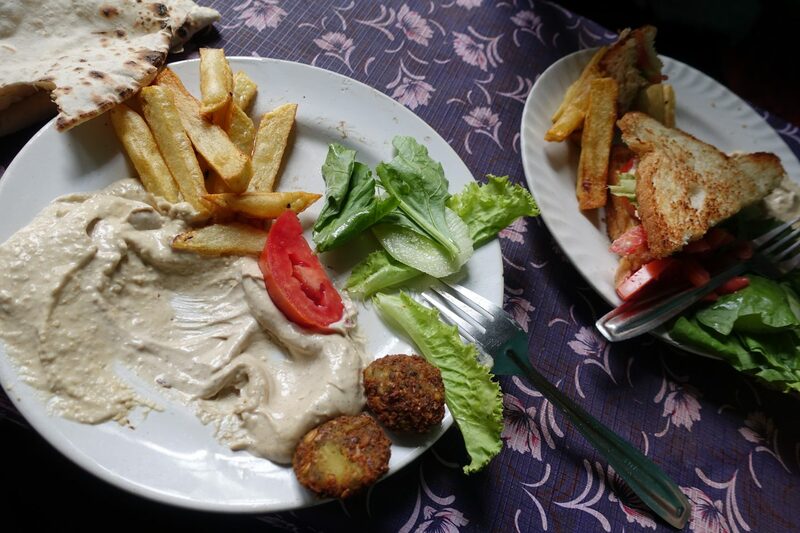 There are several places in Arambol to eat falafel and I perceived some of them as a bit overpriced. I randomly ended up stumbling upon Quicky, ordered a falafel, and loved it. Their falafels are ₹ 120 and the guys running the shop are extremely lovely. Their tahini sauce is one of the best ones I ever had! 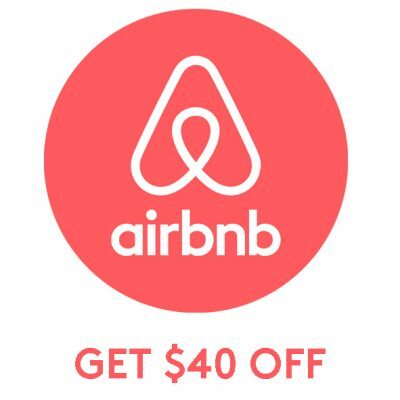 Address: Unfortunately I was unable to get this place’s address. If you are walking towards the beach, turn right at the second German bakery that is a 2 minutes walk from it and continue walking until you spot it. A friend I made at the hostel highly recommended Cookie Walla – it’s a small place offering heaps of food and drinks that’s famous for their cookies, which are unfortunately not vegan. I ended up having their Vegetable Tahli for ₹ 130 and their Falafel for ₹ 150. It was so much food and really good! Yoyo’s rooftop restaurant is conveniently located, right off the main street, along the beach. While the restaurant does look a little grimy, the food is incredible. 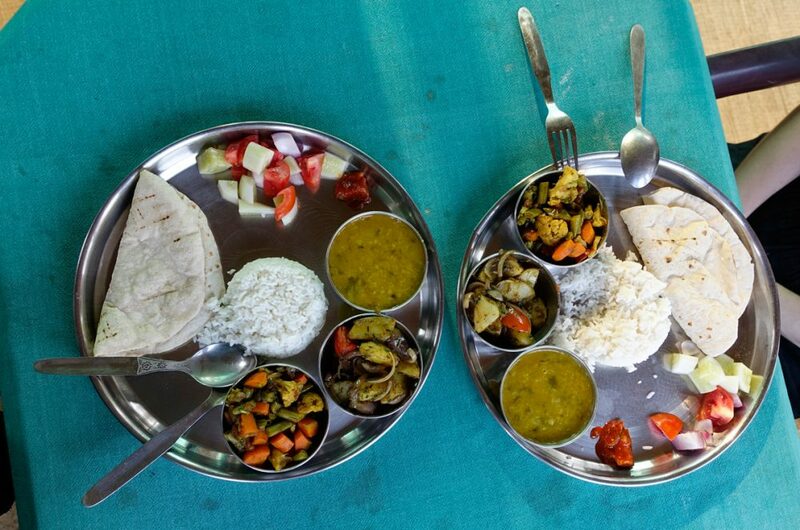 I went ahead and got their Vegetable Tahli for ₹ 120 and it was really good. It came with two servings of roasted vegetables which I absolutely loved! The owner is really kind and welcoming and the food is great! Address: I couldn’t quite make out where it is located, check google maps for its exact location. 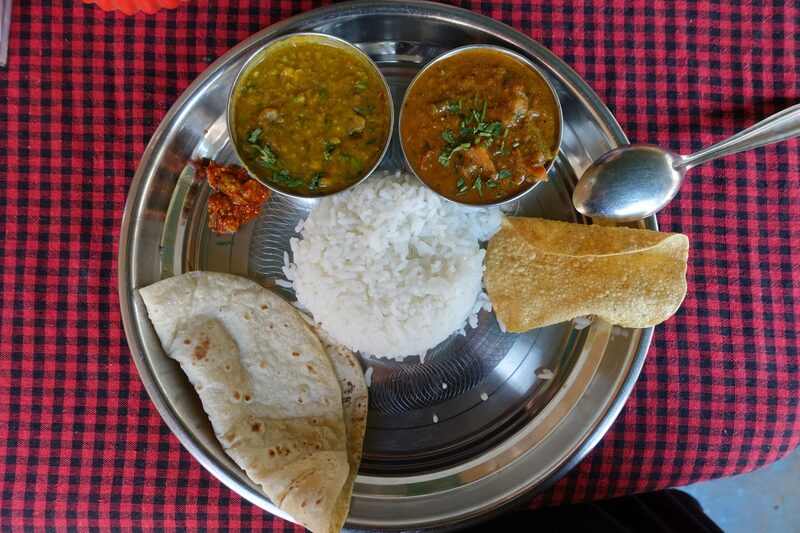 What are your favorite restaurants to grab vegan food, in Arambol, Goa? 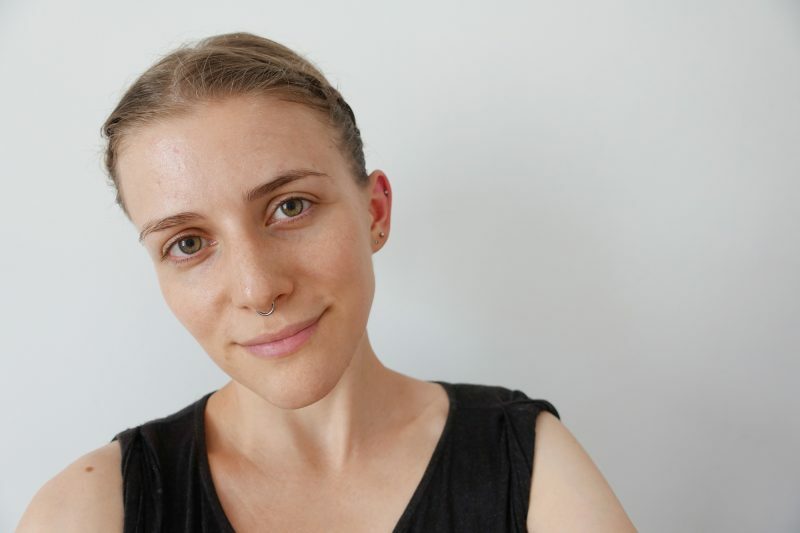 I would love to hear your recommendations!